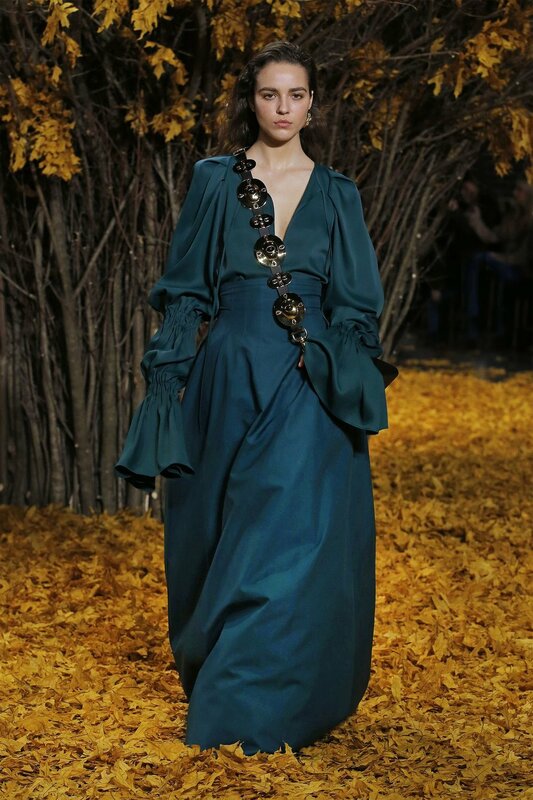 Khaite debuted at New York Fashion Week and designer Catherine Holstein came to impress, she transformed a Brooklyn warehouse into a magical woodland. Holstein’s Spring/Summer 2019 collection gives a nod to western American culture with fringed and cowboy belt buckles modernized and accompanied by an oversized minimalist carryall tote. This collection with its puff sleeves, western gown lengths mixed with everyday city girl coats makes me crave a futuristic saloon setting.